Xyngular Lean is a premium protein shake with a complete spectrum of essential vitamins, amino acids, digestive enzymes and also minerals. This supplement provides top standard nutrition in a low calorie from*. Each fifty calorie serving of Lean gives 10g of protein in a non-gmo, gluten free shake. 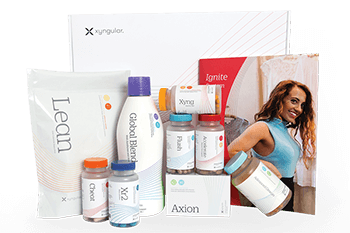 Xyngular Lean gathers 2 different kinds of proteins to make sure you get the nutrition your body needs. This can help maintaining a feeling of flavor longer than traditional protein shakes. It can nourish your body while you losing weight. It becomes a best companion for a fit diet. Since it may suppress the desire for food and make sure the reduce in appetite, you may not feel the longing for food the way you generally do. Lean product from Xyngular is a best solution for maintaining your weight and figure*. It is a nutrition to satisfy your appetite, gives you feeling of satiety, and your hunger can be reduced for a many hours*. Xyngular Lean is a natural supplement perfect for losing weight. Highly nutritional food in the type of fit cocktail not only tastes best, but most vitally it make sure that you can get the necessary amount of nutritional and vitamins substances, which your body needs. Xyngular Core4 Lean has been formulated so that it can be capable to rebuild the muscle tissues. Amino acid blend – Essential for the breakdown and absorption of various nutrients, leading to a gentler and more complete digestion of lean. 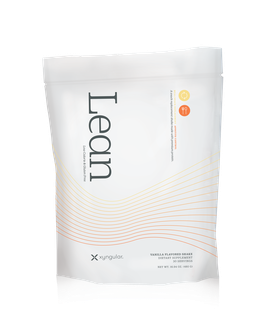 Vitamins and minerals – Similar to the bi-layer benefits of axion, lean provides the body with essential vitamins and minerals, keeping the body nourished throughout the day, while providing a steady flow of nutrients when the body needs them most. Bromelain and papain – Digestive enzymes with strong anti-inflammatory properties. they aid in digestion, and may help with bloating, constipation and indigestion. Would you like to order just an Lean supplement and not whole weight loss package? Not problem. Choose your preferred option and enjoy its benefits. Do you have more questions about Xyngular’s meal/snack replacement Lean? Read more and find everything what you need to know before buy. How do you recommend using Xyngular Lean? We recommend consuming 1 scoop of lean with your choice of beverage, as outlined in the program you are utilizing. We recommend using hand blender. You can add any fruit based on your taste. I saw there was Soy protein in Lean. Isn’t Soy bad for me? Unlike most plant proteins, soy protein is a “complete” protein. This means that it contains all of the essential amino acids in sufficient quantities to meet the body’s requirements. What makes Lean different from other protein drink products? Lean contains two different types of protein in addition to a full spectrum of vitamins and minerals as well as valuable digestive enzymes. All of these factors, combined with Leans incredible taste, make Lean a fantastic choice. I am lactose intolerant. Can I still use Lean? Yes. We utilize a process with our whey that eliminates the vast majority of lactose, meaning the vast majority of users do not experience a reaction. Why does Lean contain just 10 grams of protein? Lean is intended to aid in weight loss and recovery from exercise in the most efficient way possible. 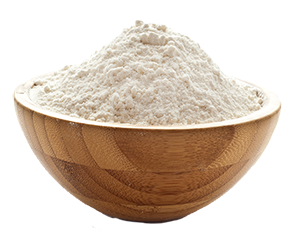 We have used the lowest amount of protein possible to achieve optimal muscle protein synthesis, which effectively maintains the low calorie nature of Lean.